Written by highly experienced professionals, A Practical Guide to Decontaminationin Healthcare comprises a systematic review of decontamination methods, with uses and advantages outlined for each. Up-to-date regulations, standards and guidelines are incorporated throughout, to better equip healthcare professionals with the information they need to meet the technical and operational challenges of medical decontamination. 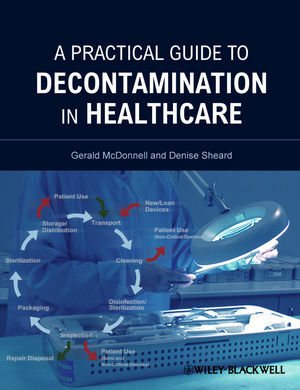 A Practical Guide to Decontaminationin Healthcare is an important new volume on state-of-the-art decontamination processes and a key reference source for all healthcare professionals working in infectious diseases, infection control/prevention and decontamination services.